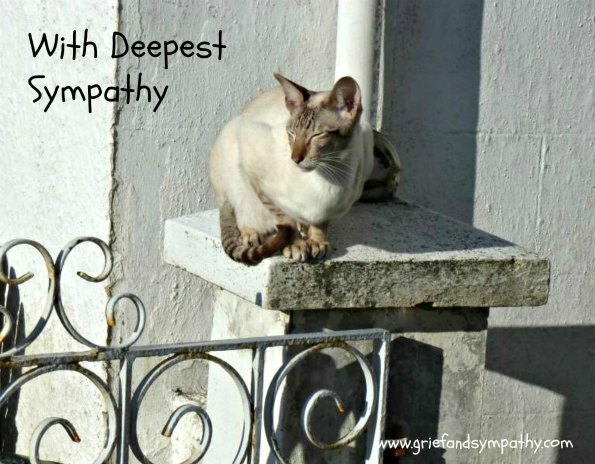 Comfort a friend with our cat loss sympathy cards, designed by us at Grief and Sympathy to help support our site. 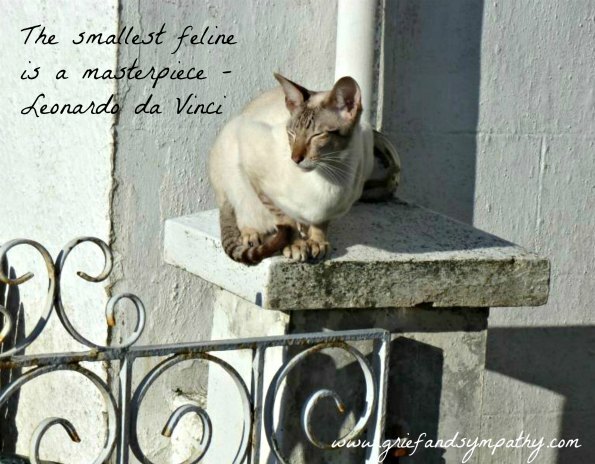 The loss of a feline friend can cause a deep grief in many people. 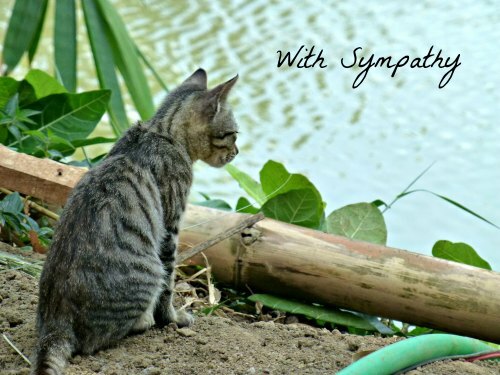 Receiving a card from a friend or family member can be a great comfort and support at this time of great sadness. 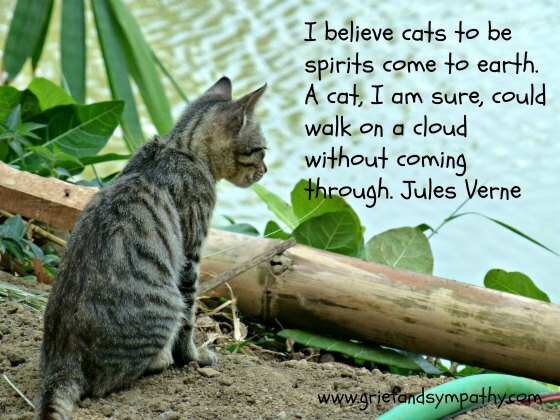 Choosing from our range of cards will help people who are grieving as sales enable us to keep to continue our work producing pages on how to cope with grief and loss of all types. Just click on the cards to find out pricing information. Our cards are printed by Zazzle in the USA. You can customise the cards with your own messages inside. There is no minimum quantity, but there are discounts for bulk buys. You can buy easily if you are overseas too, they ship fast, and you can get express post with tracking. You could even send the card direct to the recipient. They are beautiful, glossy quality on heavy card and come with a white envelope and are available in three different sizes. 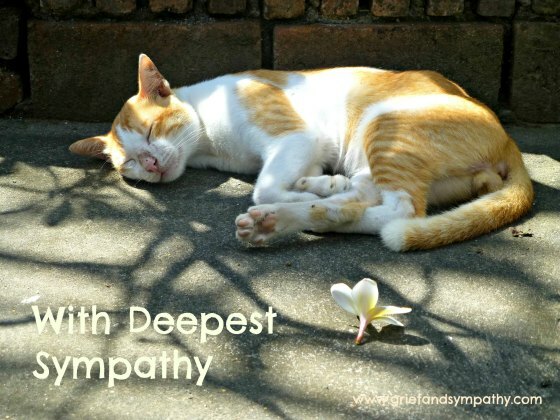 (The logo griefandsympathy.com does not appear on the front on the actual cards). 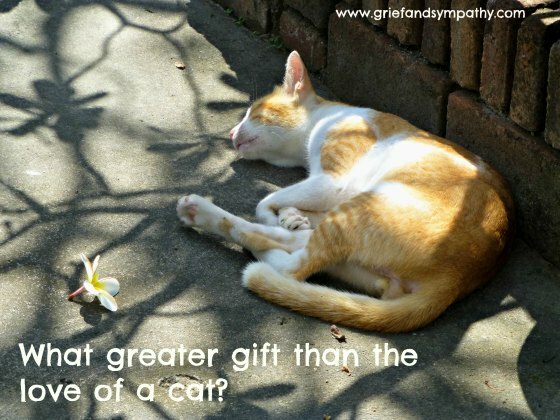 Zazzle also has a wide range of customisable products and gifts and any purchases will result in a commission to help us support the grieving.